Use unsalted butter and add salt. Soften the butter to room temperature before combining with the other ingredients. The herbs or other aromatics that you plan to use should be chopped very finely. Cream the butter, then add in the herbs/flavorings, you can use the food processor if you want the butters smooth. Allow to stand for about 2 hours at room temperature to blend the flavors. The butters will store for a short time, but don’t plan on keeping them for months. Doesn’t that sound better than Mustard butter? CORN PREPERATION: Remove the large outer husks from the corn turning back the inner husks, remove the silk, and wash. Spread each ear with about 2 teaspoons of the butter mixture of your choice. Pull the inner husks back over the corn and butter and secure with fine twine or wire so that the husks are packaged firmly and close to the ear. 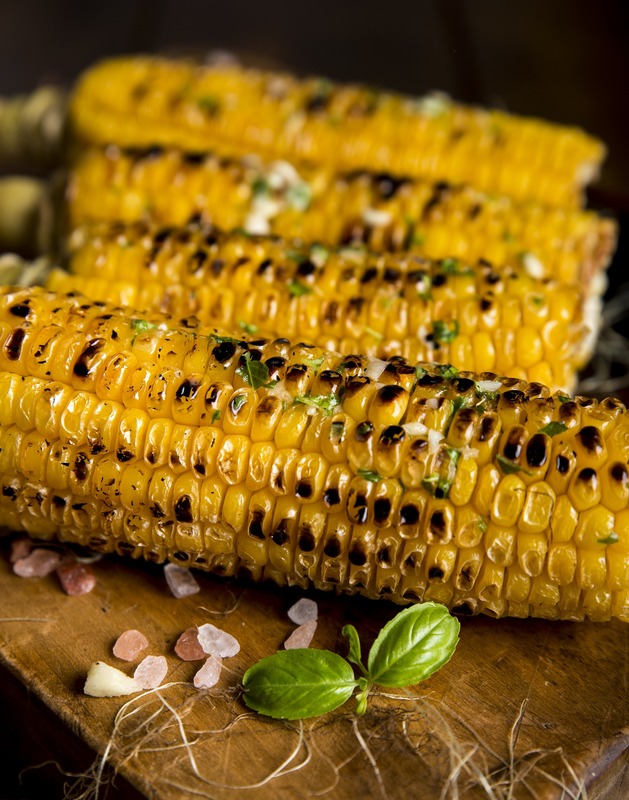 Grill the corn 3 inches from medium coals, turning frequently, until done, about 20 to 30 minutes. Serve with the remaining butter of your choice. OVEN ROASTED CORN: Heat the oven to 475 degrees F. Prepare the corn as above, but place in an ungreased cookie sheet. Turn frequently until done, about 30 to 35 minutes.